If you would like to receive more than 24 bottles annually, please inquire. Complimentary ground shipping of all orders of six bottles or more. 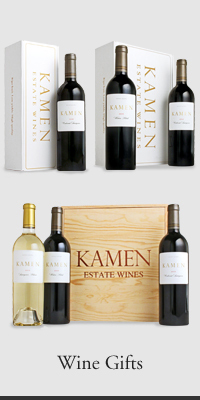 Two complimentary tickets to the Screening Room, Kamen Estate’s Annual Pre-Release Tasting Party. Complimentary tastings for four at our Tasting Room in historic downtown Sonoma and on future vineyard tour experiences. Choose between one shipment per year, or two.